Web design development for Gaming Websites | This Php web design features advanced application design for Mine Craft hosting service. Member’s join free servers and paid servers to play MineCraft. 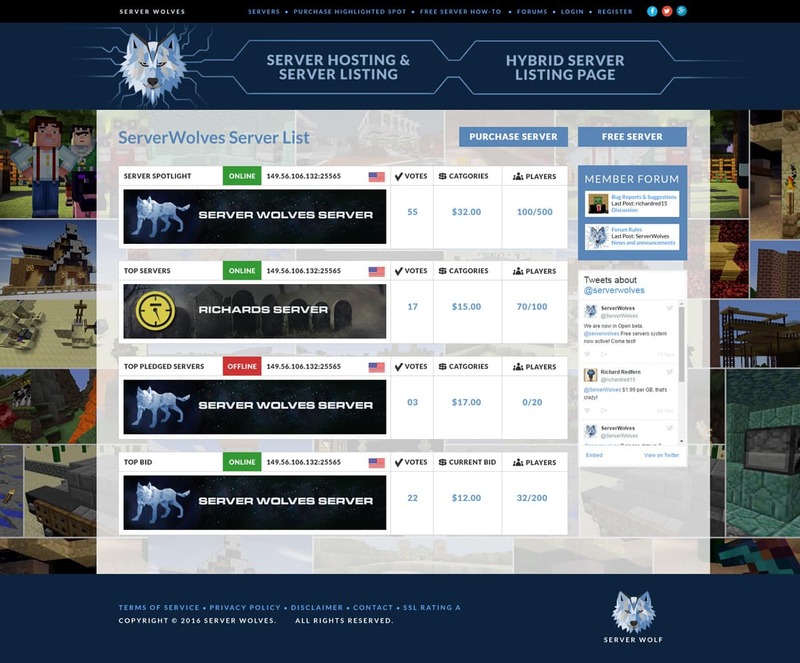 The Server Wolves MineCraft web hosting service was designed and developed from scratch in Photo Shop. At VISIONEFX every website designed is bold, different and unique. At VISIONEFX there are no plug-in-play templates. We feel every web application should reflect the look, feel, style and branding of the online business. VISIONEFX, a Web design company based in Virginia Beach, VA provides extraordinary web design for small and large businesses businesses throughout the United States to include; custom web design, web development, E-commerce web design, Word Press web design, Word Press plugin customization, Joomla web development, SEO – search engine optimization, web maintenance services, custom database and programming for custom web applications. Call: (757) 619-6456 or email info@visionefx.net.